The Met Office has warned to expect delays to rail and bus journeys, as drivers slow down for high winds. 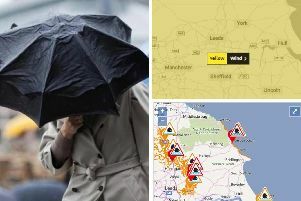 The yellow weather warning, which is in effect for much of England and Wales, warns of "strong west to northwesterly winds" as Storm Gareth progresses across the UK. Between 20mm and 40mm of rain is expected across much of the country, with strong winds expected to make temperatures feel colder than average for the time of year. Weather is expected to remain "unsettled" for the remainder of the week. 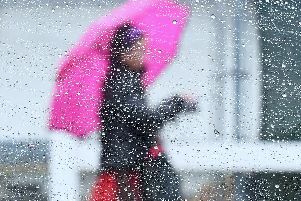 Heavy rain and cool temperatures are expected as Storm Gareth arrives in Wakefield this evening, with a high of 10°C. Blustery showers and squally gusts will merge to longer spells of rain at times, falling as snow over higher ground. Tomorrow, wind and showers will gradually ease as the day progresses, ahead of more prolonged evening rain. Winds of up to 25mph are expected, with temperatures of up to 11 °C. Weather will remain unsettled for the rest of the week, with cold and windy conditions expected. Further rain and hill snow will be interspersed by brief drier interludes, with winds probably peaking on Friday. Has Storm Gareth affected you? Send us your photos on Twitter and Facebook for a chance to be featured on our Instagram or in the paper.